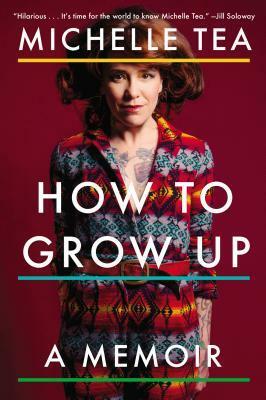 How to Grow Up By Michelle Tea. In “You Deserve This” she writes of her awful apartment experiences–places chosen for locations and cheap rent. Most of us urban dwellers have had relatable experiences. I’ve moved annually. I could probably write a book about it. She writes: “It was as if each new apartment would elicit from us the harmony we lacked, each new house key a metaphorical key, too, the elusive key to making this thing work.” Also this wise statement: “By the end, I knew one thing for sure. Whatever relationship you are in right now, that is the relationship you’re in. You’re not in the future awesome relationship that may never happen. You’re not in the possibility of it, you’re in the reality of it.” So live in the moment. Get out if it’s bad. Seek therapy if you can. Redefining feminism I understand. I had a millennial tell me that she felt guilty getting a pedicure and felt it was an anti-feminist thing. Tea explores Botox, anti-aging creams and other beauty products in “I’m So Vain.” She states: “When feminism felt like it was bumming out my reality, it was time to redefine what a feminist was.” At the base level feminism means equal rights for women in all aspects of society. Of course after Patricia Arquette’s wonderful speech about pay inequity at this year’s Academy Awards, she’s been called out for not being inclusive enough, overlooking that fact that she brought up the subject at all. It’s become that this white woman cannot speak for all of us. I would like women to just support other women. Although slow to start in which I had my doubts I ultimately truly liked my first Michelle Tea experience. I will seek out another of her memoirs. Some essays are more interesting and stronger than others but ultimately How to Grow Up is worth reading. FTC Disclosure: I received this book for review from Plume. This entry was posted on March 2, 2015, 20:24 and is filed under Books, Women/ feminism. You can follow any responses to this entry through RSS 2.0. Both comments and pings are currently closed.